What are the most common dreams and why do we have them? What does a dream about death mean? What do dreams of swimming, failing, or flying symbolize? 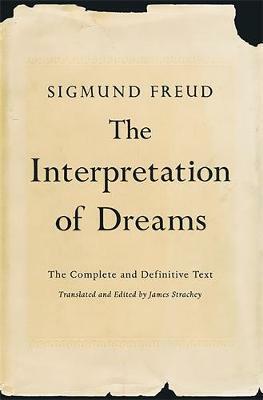 First published by Sigmund Freud in 1899, The Interpretation of Dreams considers why we dream and what it means in the larger picture of our psychological lives. Delving into theories of manifest and latent dream content, the special language of dreams, dreams as wish fulfillments, the significance of childhood experiences, and much more, Freud, widely considered the father of psychoanalysis, thoroughly and thoughtfully examines dream psychology. Encompassing dozens of case histories and detailed analyses of actual dreams, this landmark text presents Freuds legendary work as a tool for comprehending our sleeping experiences. Renowned for translating Freuds German writings into English, James Stracheywith the assistance of Anna Freudfirst published this edition in 1953. Incorporating all textual alterations made by Freud over a period of thirty years, it remains the most complete translation of the work in print. Completely redesigned and available for the first time in trade paperback.